Elvis Aaron Presley (Tupelo, Mississippi, born 8 January 1935, died August 16, 1977), also known as "The King of Rock 'n' Roll" is the best-selling solo artist of all time beating Michael Jackson by selling a confirmed 189.2 million records. 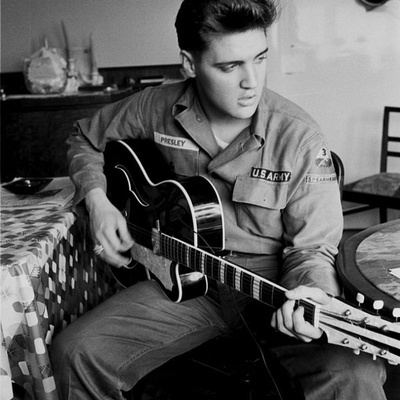 Elvis was an American singer, song producer and actor, who began his music career at Sun Records in the spring of 1954 when Sam Philips recorded Elvis performing several of Elvis' favourite songs with Scotty Moore (guitar) and Bill Black (bass). One of these covers was a country and western song, "Blue Moon of Kentucky".